Chicago, IL—March 28, 2016—Coyote has been named to the Atlanta Journal-Constitution’s 2016 Top Workplaces list for the fourth year. The Top Workplaces lists are based solely on the results of an employee feedback survey administered by WorkplaceDynamics, a leading research firm that specializes in organizational health and workplace improvement. Coyote was first named to Atlanta Journal-Constitution’s list in 2012, then again in 2014 and 2015. In 2013 Coyote was named a National Top Workplace by WorkplaceDynamics. 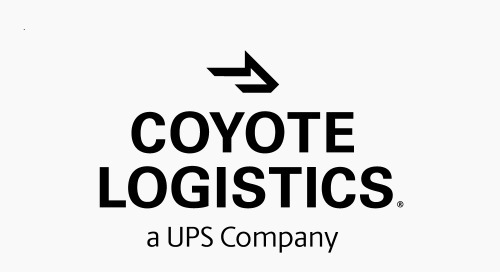 The Alpharetta office, which employs more than 375 Coyotes who work in Coyote’s Driver Services, Accounting, Finance Operations, Less-than-Truckload departments, is Coyote’s second-largest office—behind the company’s Chicago headquarters—of 17 locations nationwide. The Atlanta Journal-Constitution published the complete list of Top Workplaces on March 28. For more information about the Top Workplaces list, please visit www.topworkplaces.com and www.workplacedynamics.com.